Poster, with accompanying animation, about Morris Fuller Benton's typeface, Franklin Gothic. 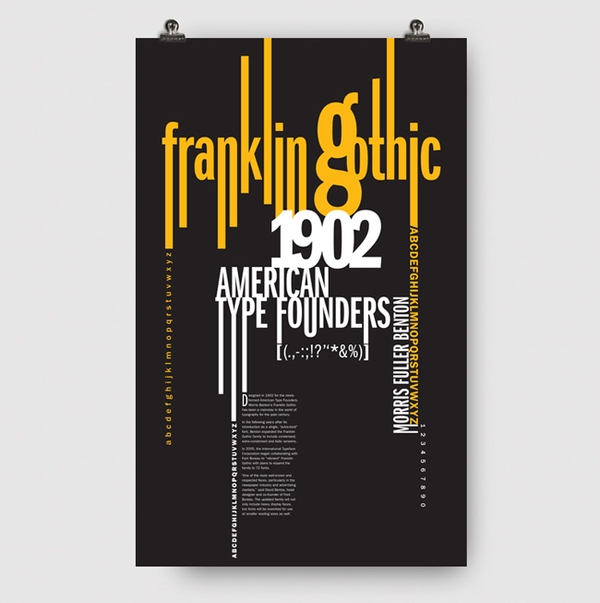 This is a poster describing the typographer Morris Fuller Benton's and his classic typeface, Franklin Gothic. Featured in the publication, "100 Best Typefaces Ever."